Any Ethnicities – Ages 18 – 80 – New fresh and weird looks. Also seeking a GEORGE HAMILTON type tanned man. 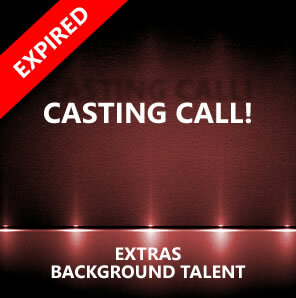 We want to cast models and the cool retro Palm Springs folks. Auditions will be held THIS Tuesday, April 4th in Palm Springs 11 am – 3 pm – COME DRESSED FOR THE PART! Shooting on Saturday, April 8th (a 12 hour day). Email Stephanie Bell at coachellavalleyextras@gmail.com if interested and include a photo! We will then set up a time for you to come in on Tuesday and give you the location information. We are shooting a DECADENT GLAMOROUS video for the song “GOLD” by The Shelters. The video is pure Palm Springs. Rat Pack, American Gigolo, high end art, fashion, retro girls. Cool Sunglasses, perfect bodies, alluring, unique. The look is ready for poolside, ready for camera, vintage clothes, jewelry, make up, hair…GOLD A PLUS!! The cooler the clothes the better. All and any beautiful Palm Springs stars this is the opportunity for you. THE LOOK IS A PALM SPRINGS PHOTO SPREAD!